**This program is still open to registration. Please come to the ZenDen Center and register by 10:30 AM Sat, March 9, 2019 to participate. **See the Logistics tab for location/address. 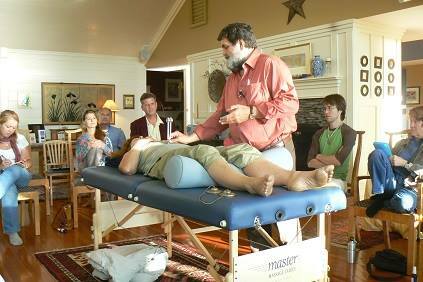 With practical demonstration and experiential work in the field of sound healing. A Certificate of Training will be presented to all who complete 4 days of training. 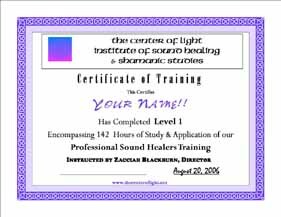 Attendance in the 4 day program will also qualify you to attend our 6 day Fall Retreat, or continuation in our full first year of training in our School of Sound Healing. 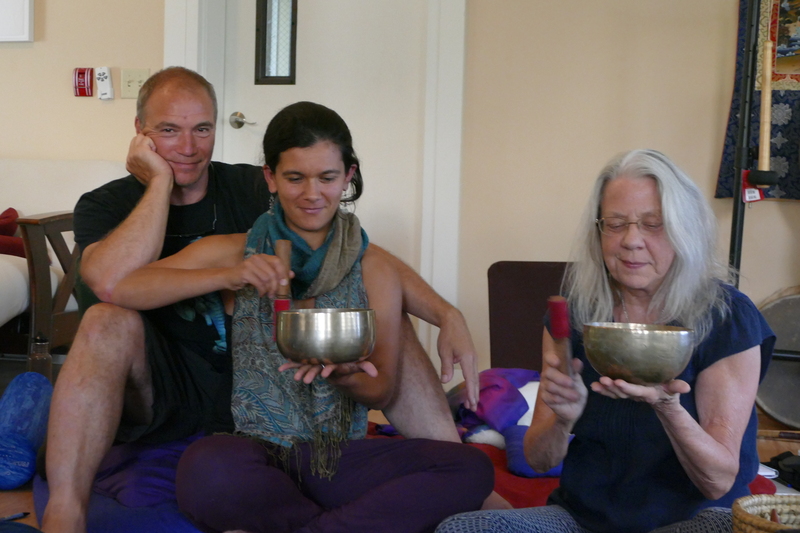 This course will bring more than most participants might expect in understanding and experiencing the nature of sound healing as a therapeutic practice. 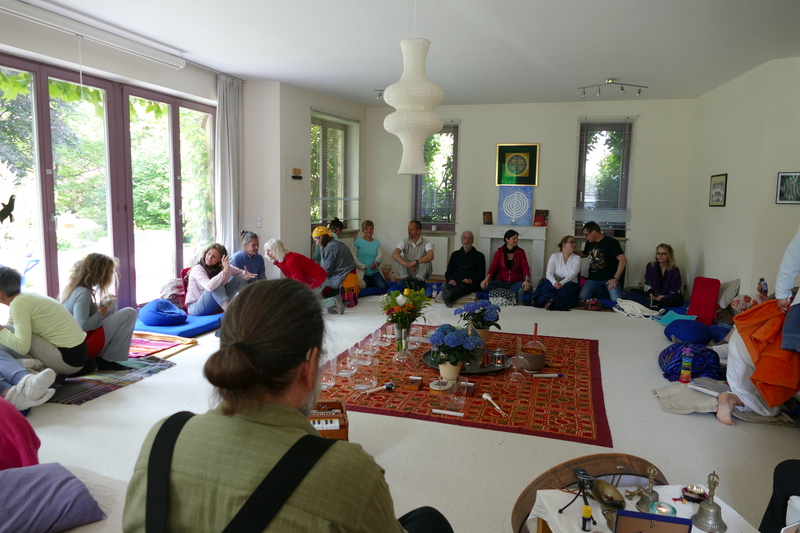 We recommend arriving 1/2 hr early, to find parking, register, settle in, get a cup of tea, socialize, see the Yoga center's shop, take care of any personal needs. If attending two days, and later decide to attend 4 days, cost is $600 for 4 days. - No rooms or meals are included in this program. - However, Lake Granbury is a popular tourist destination, and not far from the Ft Worth area. There are numerous quality restaurants and hotels in the area. Those traveling will, of course find much beauty in the lake region of Granbury. Contact our center host for best recommendations of travel or accommodations, or search hotels in Granbury, TX. Granbury is 1 hr SW from DFW airport, SW of the Ft Worth Area, not far from the 377/171 highways interchange. - Seating is provided. The center offers soft cushions. meditation pillows, backjacks, chairs and mats. We will have instruments available to use in the program, as well as to sell. You may bring your own instruments. We will focus on, not necessarily in this order: pure quartz crystal singing bowls, frame drums (hand-held drums, with beater, like traditional Native American or 'shamanic' drums,) rattles, Tibetan singing bowls, Tibetan bells, tingshas, chimes, tuning forks, gongs, possibly some work with horns or didgeridoos. We will have most of these instruments available for your experiential use during and between practices. You can view our entire inventory of world musical and sound healing instruments at: https://www.sunreed.com, and pre-order instruments to have their, or talk to our host Summer Darvischii, before or during the program. 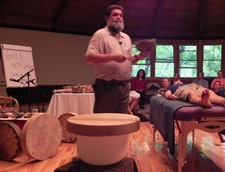 We will have experts available to help you with selection and use of sound healing tools and instruments best for your practice. - Summer Darvischi and the Zen Den Wellness Center now carry a significant selection of fine instruments used in sound healing practices. 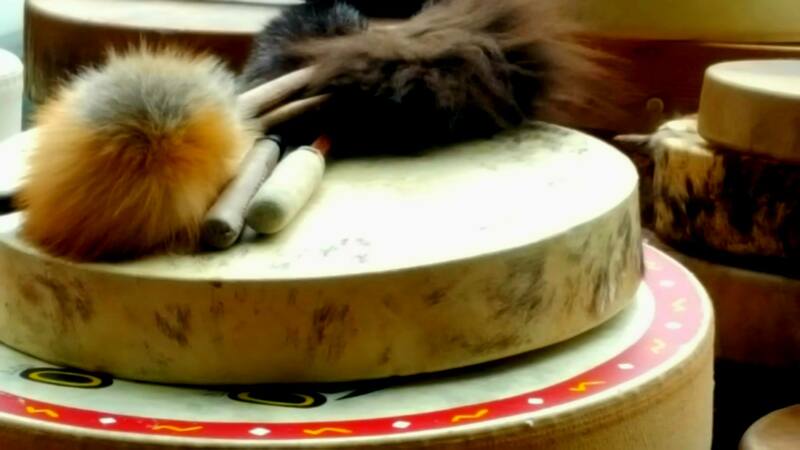 Because our work is based in the nature of sound and shamanic healing, we have an integral business, in service, for providing tools to those interested in sound and shamanic healing, including Native American drums and rattles, Crystal and Tibetan bowls, bells, gongs, and much more. At this program we also may have additional instruments for purchase. - If there are any instruments you would specifically like at the program please let us know at least 3 weeks in advance. If you would like to know more or inquire about our many instruments, please contact us or visit our site at https://sunreed.com where we can offer in depth consultations and reviews of best choices for your practice. - We accept all major credit cards, cash, and checks during the program, as well as PayPal.